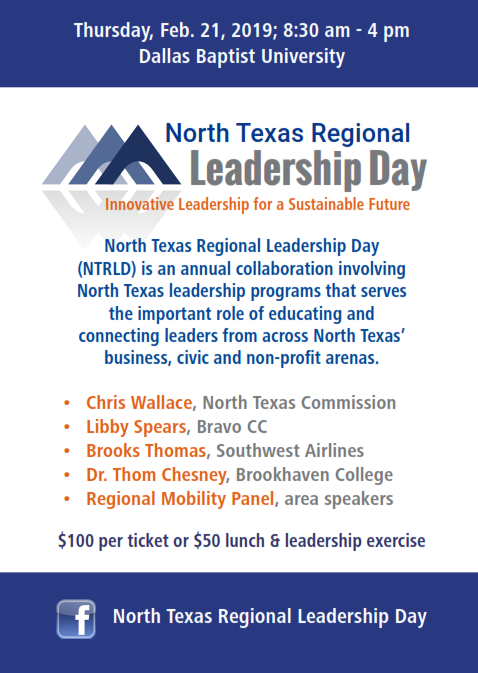 The leadership programs of Fort Worth, Irving, McKinney, the Metrocrest Chamber, Plano, Richardson and Sherman have collaborated once again to bring you the annual North Texas Regional Leadership Day. We believe our region grows stronger when our leaders come together to share their expertise and spheres of influence to address regional and community issues. Join nearly 300 community change agents as they come together to connect, to learn and to empower each other as they work for the good of our region.